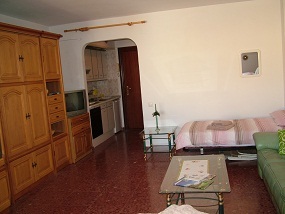 (ATR # VFT/MA/27496) NON SMOKING, Beach front line large studio apartment in Butiplaya, La Cala. Superb front line location and close to the village centre. UK TV. & free WiFi. 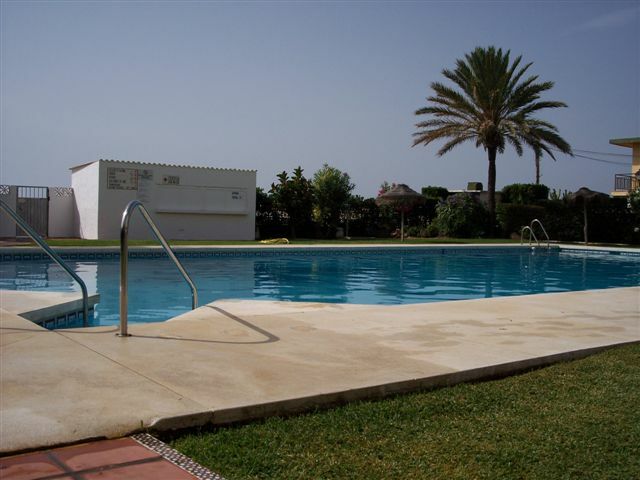 This property is ideally located overlooking the beach and sea at La Cala de Mijas. 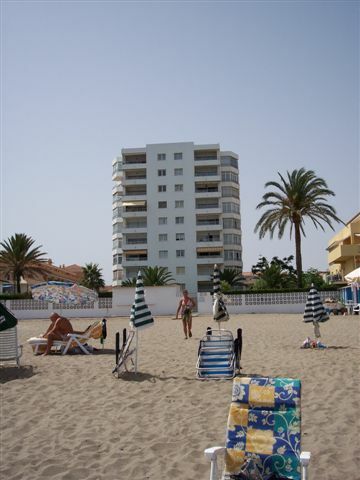 You can walk directly on to the sandy beach and the beach bar and Mijas Costa coastal walkway are right there. Situated on level 4, the property has excellent beach and sea views. A lift is available. 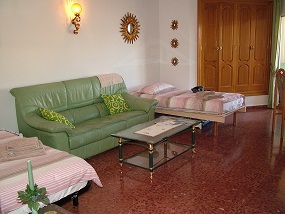 The property benefits from well maintained gardens and pool area. UK TV & free WiFi. Air cooling facity is available. Electric, laundry & linen is included (use your own towels for beach & pool). All local amenities are close walking distance to the village shops, supermarkets, bars, restaurants, hairdressers, banks, doctors, chemist, local Wednesday & Saturday market, buses & taxi rank. This apartment is suitable for the infirm or elderly but unfortunately cannot accommodate mobility scooters. 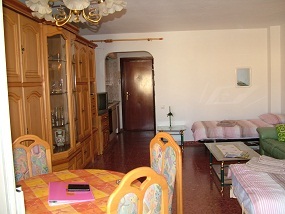 The Butiplaya studio beachfront apartment is in an excellent location. A few nice bars and restaurants close by. An easy 10 minute stroll to La Cala Mijas centre. The spacious apartment was well equipped and had everything we wanted, including outside chairs. It would have been nice to have a microwave but as we do very little cooking it didn't really matter. 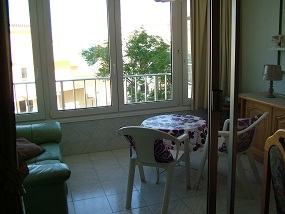 The apartment had large windows that could be opened fully and allowed a lovely side sea view. 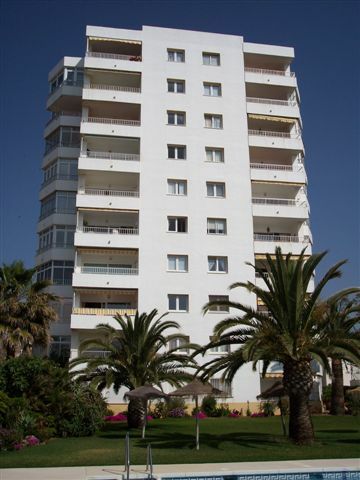 We had a lovely holiday staying in this apartment and we will be getting in touch with La Cala lettings, with a view to renting this apartment again, in the near future. A special mention to Val, she was lovely and very helpful. Nothing was too much trouble. Thanks Val! A Microwave has now been installed. We had a great two weeks in La Cala and would recommend it to everyone. Studio was very nice.